Community Grant Info, Cool Videos, More! 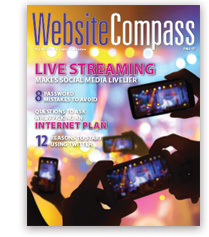 Live streaming makes social media livelier, as you'll discover in the Fall 2017 Website Compass magazine. Get ideas for how and when to use live streaming, see how the power of video has grown in recent years, and learn what's offered by Facebook Live and other live streaming applications. You have access to Website Compass as a value-added bonus (and thank you gift) for being one of our internet customers. Click here or on the magazine at the right to get started reading the Fall 2017 issue! 3 Rivers' Community Enhancement Grant program has awarded more than $200,000 to nonprofit organizations within our serving in the past decade, given to groups who are committed to making their communities better places to live, work, and raise their families. 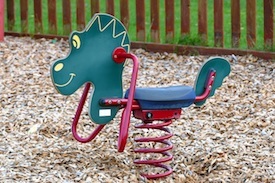 Through Community Enhancement Grant program 3 Rivers has funded more than 130 projects, including building neighborhood playgrounds, remodeling community centers for better handicap accessibility, purchasing emergency equipment for volunteer fire departments, and investing in our town libraries. In 2016 we began offering a Youth Technology Grant, with the specific goal of enhancing access to, or increasing knowledge and use of, technology among youth in the communities we serve. You can find guidelines, deadlines and applications for the Community Enhancement Grant and Youth Technology Grant under the Community link under Grants & Sponsorships or you can email Susan at susanw@3rivers.coop. Found a fascinating article online, but too busy to read it now? Just save it to Pocket, and read it later using any device. nationalcatday.com – Calling all cat enthusiasts: October 29 is a day devoted exclusively to your purr-fect pets. Give them some extra love and attention on that day, and remember all the kitties out there who don't have a home by donating to your local shelter or adopting a new feline friend. packupgo.com – Love travel, but not travel planning? Then Pack Up and Go might be just the thing for you. The service plans three-day trips based on your schedule, travel preferences, and budget, with one unique catch: the destination remains a mystery until the day you leave! hgtv.com – HGTV has remodeled a charming Craftsman style house in the heart of Knoxville, Tenn. Check out the photo gallery to see the amazing transformation of every room and the exterior of the house. Then starting on October 2, enter a sweepstakes for a chance to become its new owner. thespruce.com – There's no end to things needing to be done around the house — from preparing food to maintaining the yard to home repairs. Browse The Spruce for ideas like new ways to prepare mac and cheese, water features for your yard, or signs there's a mouse in your house. Short Tutorial/FAQ – What's The Story With The New Birthday Options On Facebook?